Christoph Schickedanz, born in Darmstadt in 1969, received attention as of the most recognized violinists of his generation in Germany. Honours at various competitions in Europe and the US prepared his way to a multi-facetted concert career. He has been concertizing in all over Europe, Northern America and Asia. Beyond the standard repertoire of solo and chamber music, Mr. Schickedanz has especially dedicated himself to the performance of unjustifiably neglected or forgotten composers. He can refer to numerous first recordings and was also involved in the publication of various first editions. His discography with more than 20 CD productions for the labels Audite, Centaur, cpo, and telos music shows a wide range from the solo to the octet repertoire and has repeatedly attracted special notice by both the audience and the critics. Mr. Schickedanz has also been recording for the most important broadcasting stations in all over Germany, such as BR, SWR, WDR, HR, DLF, Deutschlandradio Berlin. His interpretation of the complete Johann Sebastian Bach solo violin works and the Johannes Brahms sonatas is scheduled to be released this year. As an enthusiastic interpreter of chamber music, Mr. Schickedanz is currently a member of the Johannes-Kreisler-Piano-Trio, he was enjoying concertizing with the Gililov Piano Quartet Berlin (ex Berlin Philharmonic Piano Quartet) for the ensemble’s last years. In addition, he can refer to the collaboration with musician personalities as Igor Shukov, Ralf Gotoni, Lilya Silberstein, Julie Kaufmann, Sebastian Manz, Arto Noras, Ingolf Turban, Wen-Sinn Yang to name just a few. Christoph Schickedanz began his studies at the Freiburg University of Music with Prof. Jörg Hofmann, a scholarship granted from the DAAD (German Academic Exchange Service) enabled him to study at IU/Bloomington with Distinguished Professor Franco Gulli. 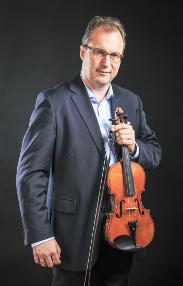 After completing the prestigious Solo Concert Examination at the University of Arts in Berlin with Prof. Uwe-Martin Haiberg he obtained a teaching position as an assistant in his violin class. He has also been teaching as Associate Instructor in Violin at IU/Bloomington, as a lecturer at the Johannes Gutenberg-University Mainz and as Guest Professor at the University of Arts Berlin. 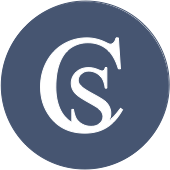 In 2004 Christoph Schickedanz accepted a full time Professorship at the University of Music and Theatre in Hamburg where he was also serving as Head of Strings for several years. Among his students are competition price winners, many of his alumnae are holding positions in important German orchestras (including Berlin, Bremen, Darmstadt, Dortmund, Essen, Hamburg, Hannover, Heilbronn, Leizpig, Munich and Wiesbaden) or abroad (China, Denmark, Norway, Qatar, Spain etc.). Mr. Schickedanz is regularly holding masterclasses in Europe, he furthermore received invitations to teach in universities such as Indiana University’s Jacobs School of Music, the Shanghai Conservatory, the Tongji University, the California State University Long Beach or music institutions in Kiev/Ukraine, Havana/Cuba or Port pf Spain/Trinidad & Tobago.